A glimpse of the future? Star towers, free energy, revolutionary medicine, space colonization, alchemy machines etc. etc. 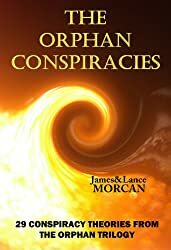 What follows are excerpts from a chapter we edited out of our non-fiction book The Orphan Conspiracies: 29 Conspiracy Theories from The Orphan Trilogy just prior to publication. Why we removed the chapter, we can’t quite recall. Perhaps it was because we weren’t sure readers were ready for it. Anyway, we’ve posted the entire chapter in our Underground Knowledge group on Goodreads. If the insider tip-offs we received are correct, then it seems all of our lives are about to change, for the better… long-withheld scientific inventions will change every facet of our society. This new science will replace mainstream or official science and revolutionize education, agriculture, living standards, travel, life expectancy and our present monetary system. And that’s just for starters! A small selection of the suppressed technologies said to be released include; Free energy devices for every person on the planet; weather manipulation machines similar to HAARP except used only for good such as bringing rain to drought-striken areas; modes of transportation using ley lines and other natural energies that will be so fast they will feel close to teleportation; highly effective smart drugs and other brain products that will wire our minds for super intelligence. And those are simply the technologies we can make head or tail of. Other more out-there inventions like “dream recorders” (which presumably allow individuals to record their own dreams while sleeping as if filming everyday life) “alchemy machines” (something that turns rocks into gold like the legend of ancient alchemists? ); “five-sensory entertainment” (entertainment that includes touch, taste and smell, perhaps?) and “mind swappers” (which we can only guess means allowing your mind to be shared with another and vice versa) are all very difficult to imagine, let alone write about here. Of all these new technologies, the game-changer is predicted to be a structure colloquially referred to as Space Scrapers (aka Star Towers). These gigantic towers will be along the lines of our present sky scraper buildings in the world’s cities, except they’ll be so tall they actually reach into Space! These incredible structures will be around 275 miles tall, apparently, and most will have their foundations in sea floors and rise up out of the oceans. They will weigh hundreds of billions of tons – however, these edifice’s top half (the part that will reside in Space) will for some reason weigh almost nothing. Believe it or not, these superstructures will be built almost entirely out of glass. Not regular glass, but a glass product made from sand known as anhydrous glass and incorporating the most advanced Nano technologies. Spider silk, which mainstream science has already shown to be stronger than metallic fiber, will also be woven into the glass. The specially designed and unbreakable glass will be flexible, yet far stronger than the thickest and toughest metals currently used in Nano fiber optics. The funding, technologies and wherewithal necessary to build Space Scrapers already exist – mostly in secret, of course. …it appears these planned Space Scrapers/Star Towers may be based on century-old Tesla technologies. Due to their towering height, they are able to gather the ionosphere’s solar wind radiation energy, providing inhabitants of Earth with an unlimited source of free energy. This will eradicate the need for nuclear power plants and any more Chernobyl or Fukushima-style irradiation disasters. Other current forms of energy, including hydroelectric dams and oil, gas and coal energy plants, will also be a thing of the past as eliminating all air pollution will be a top priority in this new world. Check out the video for the recent radio interview I did on Boston’s Philosophic Perspectives Radio Show with Arthur D. Schwartz. The controversial subjects I discuss in this interview include false flag terrorism sponsored by Western governments, the Americanized Nazis involved in the CIA’s Operation Paperclip, suppressed technologies, and the world’s hidden system of finance involving undeclared fortunes. In the latest poll on our ‘Underground Knowledge’ group on Goodreads.com, we ask: Do you believe MARILYN MONROE committed SUICIDE or was MURDERED? Interim results show 56% believe she was murdered. Only 15% of poll respondents believe Marilyn committed suicide and the balance (29%) are unsure. One of the many mysteries surrounding Monroe’s death was the amount of time it took for anybody to alert the police. The nearest police station to her home in Brentwood, Los Angeles, was only three miles away and yet the police weren’t summoned until the following day (August 5) at 4.30am – a full six hours after Monroe’s publicist and other associates had been called to the house and found her dead. She was murdered obviously for multiple motives. It is interesting that the CIA and the Mafia have both been linked to the alleged murder. Marilyn is known to have spent her last night of life with Mafia boss Sam Giancana. Given the Mafia’s practice of warning their quarry in advance of their death with the notorious “kiss of death”, it seems rather telling in its own right. Unintentional suicide is entirely possible given the amount of meds she was prescribed, taken together with or without alcohol would depress respiratory function to the point where she would expire. Now the question becomes who persuaded her Docs to give her the combos of pills that were unsafe and was that intentional? What if Marilyn had no idea of the logical evil going on around her, and was completely innocent in her heart, and this was what scared the hell out of those in power; complications. details, complications, details to ad infinitum. Membership of our ‘Underground Knowledge’ discussion group has now topped 430, making it one of the fastest growing groups of its kind – if not the fastest – on the popular Goodreads site. This group is open to everyone! 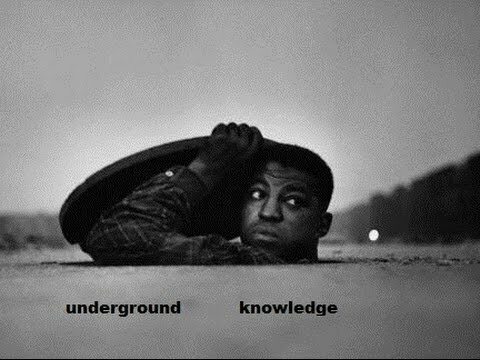 All you need is an enquiring mind, an interest in the world we live in and a desire to learn or to uncover “underground knowledge” on important issues of our times. Our members include scientists, historians, conspiracy theorists, students, authors, doctors and many more. War, what is it good for? Absolutely nuthin! A discussion thread titled “War, what is it good for? Absolutely nuthin!” on our Underground Knowledge group on Goodreads.com has prompted an outpouring of anti-war comment, the overwhelming concensus being that war is, indeed, good for absolutely nuthin. According to our research, WW2 was one of the last legitimate wars. Legitimate in that there was probably no other alternative but war. 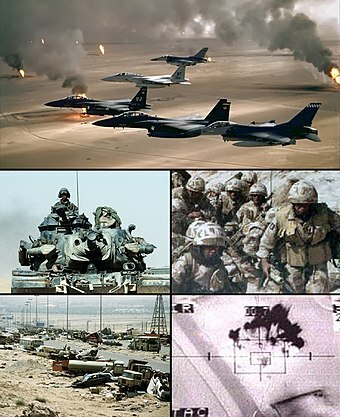 Nearly all other wars since – especially the Gulf Wars, Vietnam, The Falklands War and the various Afghan wars – have simply been money-spinners spawned by the fear of fabricated enemies or at least unproven enemies. This all leads to other questions. Were communists ever a valid threat? When the US pulled out of Vietnam, why didn’t the much hyped Domino Theory ever occur? Why weren’t most other Asian countries overrun by communism as this theory stated was inevitable? Is it realistic to have a war on ‘terror’ instead of a conventional war against a recognizable nation or group of nations? Can bearded nomads living in caves in Afghanistan or Pakistan really be a genuine threat to superpowers? And can isolated and impoverished nations like North Korea prevent world peace if the rest of the world wants peace? Would North Korean president Kim Jong-un actually order his military to fire nuclear weapons and incite war? If so, what would be in it for North Korea when they’d obviously be committing suicide by inviting the rest of the world to immediately invade them? Can a leader of any nation really be that stupid? Some conflicts/wars I believe are a necessary evil – a terrible waste and disgraceful but if you lived in Africa wouldn’t you want someone to help you. There in lies your argument who decides where we go to war and where we ignore? I’d replace the word ‘country’ with ‘government’. That’s the biggest con of all- this belief that we’re all countries of people starting and fighting wars, when it’s always been the top elite (government, royalty…) creating those wars. And in today’s age especially, the vast amount of people in the world want peace. It’s the governments that make those decisions, not the people. Somewhere along the way the US was hijacked by elitists and American values were discarded. War is often propaganda-dly sold to us with fear. All we’ve got to do is defend rather than invade. It’s effing simple. Fighting just creates more fighting; its an endless loop in human history that will never cease until we go about things another way. If we don’t work for those in power… if we don’t pay those in power, they’re stuffed. But it’ll take a huge amount of people, including people in politics, armed forces, police forces… to come together to change the world. History strongly suggests that the human story is the story of wars and dominance. So, to escape all that has gone before, it seems necessary to do something new; a miracle, if you will. Its hard to keep believing in the face of reality. ISIS seems like yet another fabricated enemy ala Al Qaeda. And indeed there is already much evidence to support this theory. 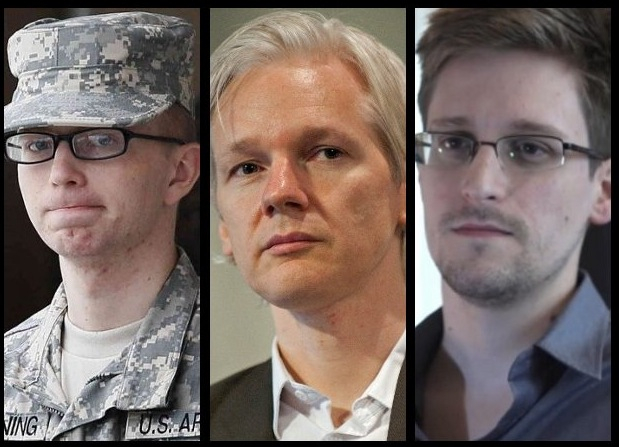 There have always been evil doers…terrorists, dictators, are all over the show – yet for some reason we always inflate the Middle Eastern ones and under-report other ones…5 million people have been killed in the Congo (formerly Zaire) in the last 10 years plus 1 million women have been raped. But no Western country wants to invade The Congo and try to do the right thing.